One of the most important aspects of motorcycling is safety motorbike riding gear. 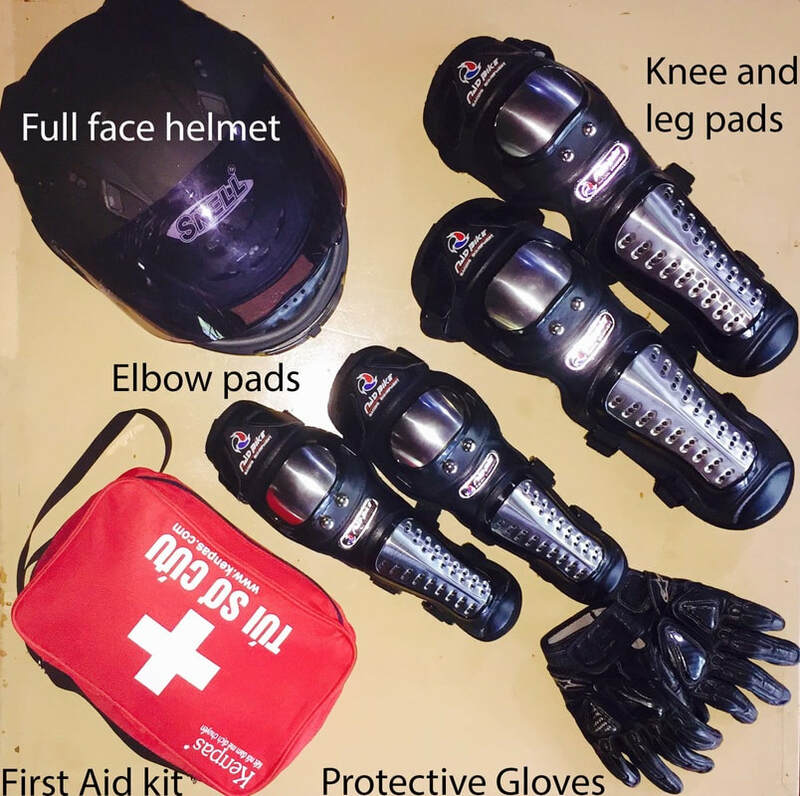 Though gear can be cumbersome, awkward, and intrusive, it is also the only thing that will protect you from the road in a motorbike accident. Below is our recommended gear for a safe trip in Vietnam. It is best to bring your own because sizes and quality in Vietnam could be different from ywhat is available in your home country. For maximum safety a full-face helmet is the best. A full-face helmet covers the entire head and face down to the base of the skull and the lower jaw, with an opening for visibility (visor). It also has good aerodynamics and keeps the wind and projectiles off the rider’s face.Some riders might find them too heavy or bulky, and may feel claustrophobic. They do reduce the auditory experience, and can have ventilation issues. Usually there are ventilation holes to help keep the visor clear. The shape of the helmet affects its overall aerodynamic performance. 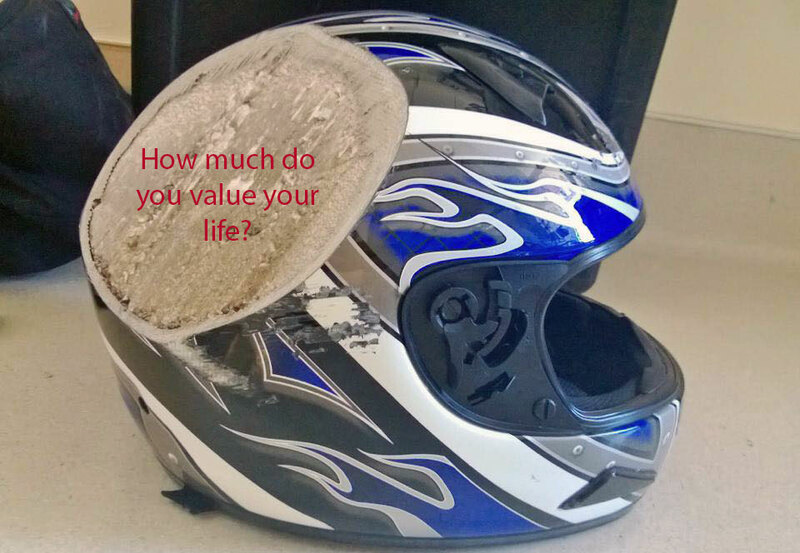 Modern helmets often have a semi-teardrop shape to help prevent. It’s a basic human reflex to break your fall with your arms and hands can suffer considerable damage when a rider is thrown off his or her bike. Protect your palms, knuckles, and fingers with sturdily constructed, well-padded gloves, preferable gauntlet-style ones that extend past the wrist. We provide Pro-Biker gloves for those who need them. Typically worn over your clothes while riding, guards protect key body parts like elbows and knees from impact; they can also be affective for street riding when worn in combination with less protective outer layers (like Kevlar-reinforced jeans), though they won’t offer the complete coverage of full gear. We provide Mad Bike elbow and knee protection pads. These are best in summer and autumn. Not only keeps the wind from making tears streak down your face, they also keep all manner of debris and insects from flying into your eyes. Visors in helmets offer built-in eye protection, but some riders prefer to wear separate eye protection so they can enjoy a tinted field of vision that’s removable when the sun drops. Unfortunately, in Vietnam, we don’t have this and you should bring your own. However, all of our helmets have good and clear visors. 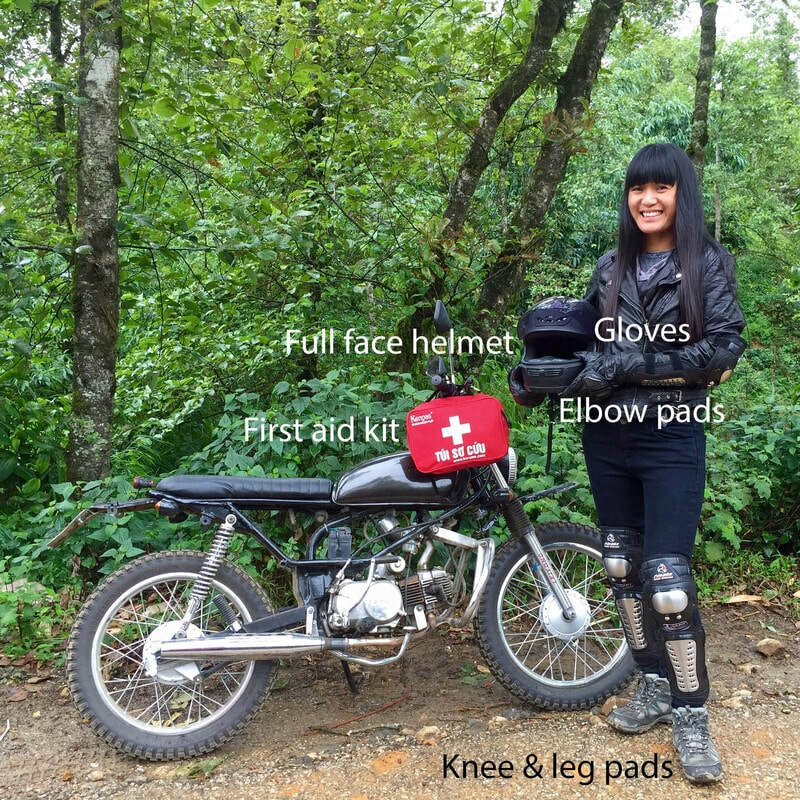 From motocross and road racing to traditional cruiser styles, there are loads of ways to keep your feet protected on a motorcycle. Also, don’t underestimate the importance of keeping your feet firmly planted on the pegs and shin protection from pebbles! Sadly, there are no large Western size boots available in Vietnam, so this item is not provided. If you have good, sturdy shoes that will do. The first point we would make is that if you want to travel from point A to point B and always stay completely dry, you should buy a car. If you ride a bike in the pouring rain for long enough, or hard enough, you will eventually get wet. Water runs off your helmet and down your neck. It will be thrown up from the road and up your jacket. It will hit your gloves and enter the sleeve. Or rise up your boot to your leg. It will find its way through zips and pockets. If the pressure of water is strong enough, and the duration of the ride is long enough, there is no garment out there that can guarantee to keep you totally dry. On any style motorcycle, the problems of cold wind, wet road spray, engine and road heat, kama kazi bugs and hot exhausts are solved in an easy way. The motorbikers secret weapon against mud, spray, dust and gravel, gaiters also help to reduce rainwater that might seep into foot wear with laces. Lightweight and easy to pack, gaiters are a fantastic edition to travel biker gear. We have a basic range of equipment that are included in the price of any tour.